Beelzebub is the crown prince of Hell. 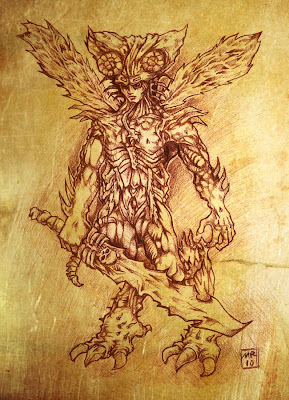 Originally a Semetic Pagan God in his own right, he eventually became associated as the second in command in Hell, leader of the Order of the Fly, subordinate only to Lucifer himself. Beelzebul claims to cause destruction through tyrants, to cause demons to be worshipped among men, to excite priests to lust, to cause jealousies in cities and murders, and to bring on war.